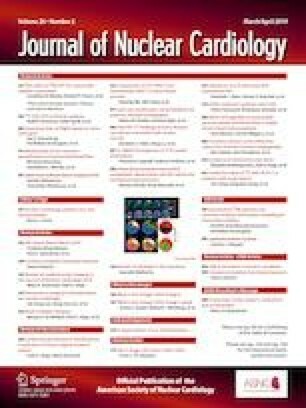 We evaluated the effect of cardiac resynchronization therapy (CRT) on septal perfusion and thickening at 6 months post implantation assessed on Tc99m-MIBI Gated myocardial perfusion SPECT (GMPS).We also studied the association of change in septal perfusion and thickening with primary outcome defined as at least one [improvement in ≥1NYHA class, left ventricular ejection fraction (LVEF) by ≥ 5%, reduction of end-systolic volume (ESV) by ≥ 15%, and improvement ≥ 5 points in Minnesota living with heart failure questionnaire (MLHFQ)]. One hundred and five patients underwent clinical and GMPS evaluation before and at 6 months post CRT. Post CRT there was significant improvement in mean normalized septal perfusion uptake and in septal thickening (P value = 0.001, both). There was no significant relation between improvement in septal perfusion and primary outcome. However, improvement in septal thickening was statistically significant with favorable primary outcome (P = 0.001).There was no significant correlation between improvement of septal perfusion and improvement in LVEF, reduction in End diastolic volume (EDV), ESV, and Left ventricular Dyssynchrony (LVD). But, there was significant correlation between improvement of septal thickening and these parameters. Improvement in septal thickening was associated with reverse remodeling, improvement in LVEF, and reduction of LVD. The online version of this article ( https://doi.org/10.1007/s12350-019-01704-0) contains supplementary material, which is available to authorized users. Dr Garcia receives royalties from the sale of the Emory Cardiac Toolbox used in this research. The terms of this arrangement have been reviewed and approved by Emory University in accordance with its COI practice. He is also a consultant for Syntermed Inc and GE Healthcare. There are no other relationships with industry.